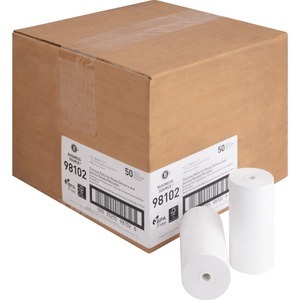 Thermal rolls are designed for route delivery and service-related receipts in portable printers. They are easy to use. Simply drop them in the portable printer's cradle and feed the paper. End-of-roll warning feature keeps you prepared for replacement time. 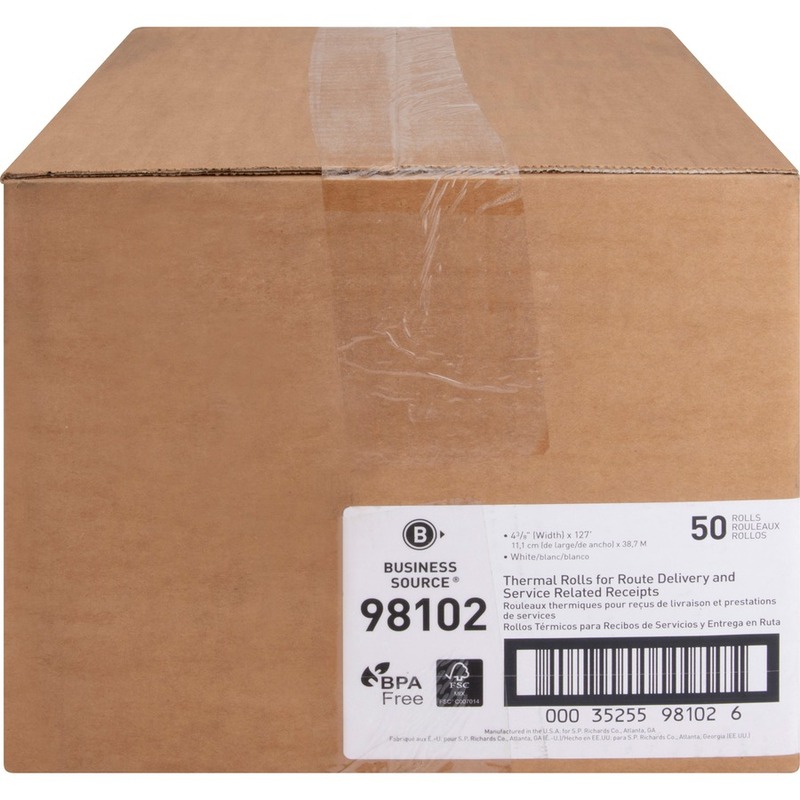 The recyclable 3/8" core of the roll and the packaging are made of plastic. 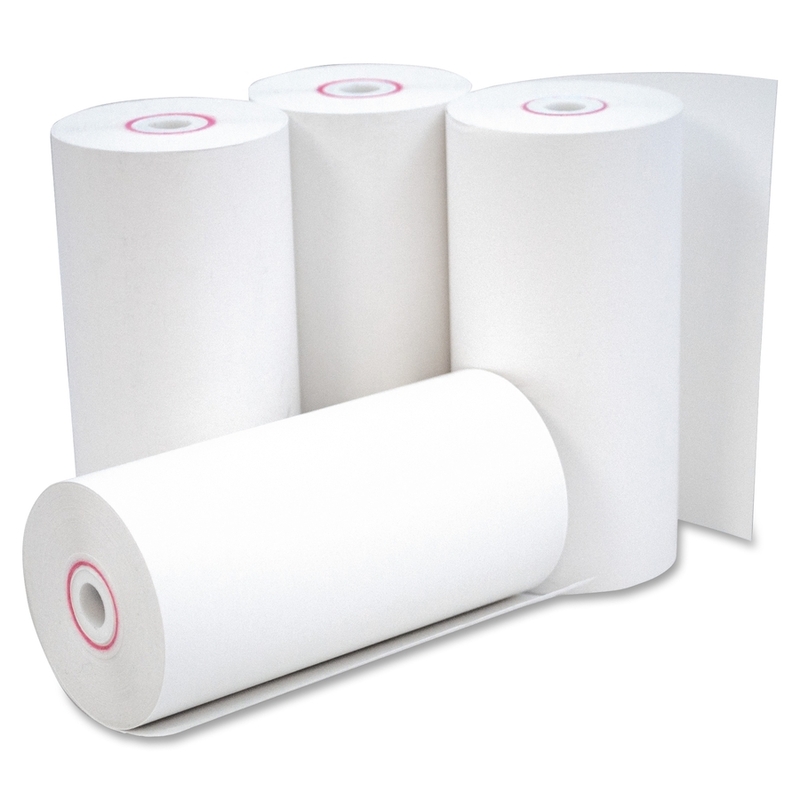 The 4-3/8" x 127' thermal roll is made with BPA-free and FSC Certified thermal paper.